This white wine cannot survive without passion. It is a three-way relation. 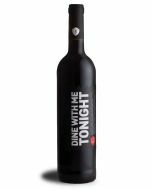 Dine With Me Tonight is the perfect accomplice for moments of thundering passion.